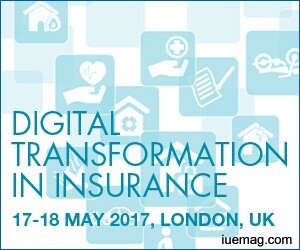 Join the Digital Transformation In Insurance on 17th and 18th of May, 2017 in London! The Digital Transformation in Insurance conference is returning for a second time in London with its massive success last year. The event aims to deliver actionable content about the whole end-to-end insurance process. For the first time ever, the event is being run as a stream event, holding two conferences at the same time, all under one roof. Focusing on both Front-Office – customer-facing angle and the often forgotten Back-Office – operational angle, this strategic event is not about the nuts and bolts of technology, rather it’s about how to use digital tools to grow your customer base and improve those internal processes to ultimately grow your business. With a room full of hundreds of insurers, brokers and aggregators, delegates are guaranteed to leave the event knowing how to achieve digital excellence now and in future, and thrive above non-traditional, digital savvy competition currently threatening the industry. This allows the exploration of challenges and emerging opportunities to both deliver operational efficiency but also exceed customers’ digital expectations. Participants in the 2017 programme include: Zurich insurance, AIG, RSA, Ageas, RAC, LV and many more and with efficiency and digitisation at the forefront of the insurance sector, the need to share experiences, scalable success stories and new ways of working has never been greater. The Digital Transformation in Insurance Congress will bring together hundreds of insurers, brokers, aggregators and solution providers to uncover the practical steps needed to succeed in a digital era. Split into 5 digestible themes, attendees will explore the challenges and emerging opportunities to both deliver operational efficiency but also exceed customer’s digital expectations. With efficiency and digitisation at the forefront of the insurance sector, the need to share experiences, scalable success stories and new ways of working has never been greater. You shall hear from 25 presenters on how they’ve implemented digital transformation in their organizations and the steps needed to realize the benefits digital working can bring for customers and business. Join us in May to transform your business and set yourself apart from competition! The iUeMagazine team is delighted to work with Digital Transformation In Insurance as Online Media Partners & is expected to bring Unlimited Inspiration for all readers from the proceedings of this event. Staying tuned to the enriching updates from this event is recommended.